The process of creating an image for clients is one that takes many varied forms. All companies today must be well aware of the kind of image they are projecting to any client. This means knowing what kind of information is being sent out about the services and products they offer. It also means being able to help create methods that craft such an image to the benefit of the company. 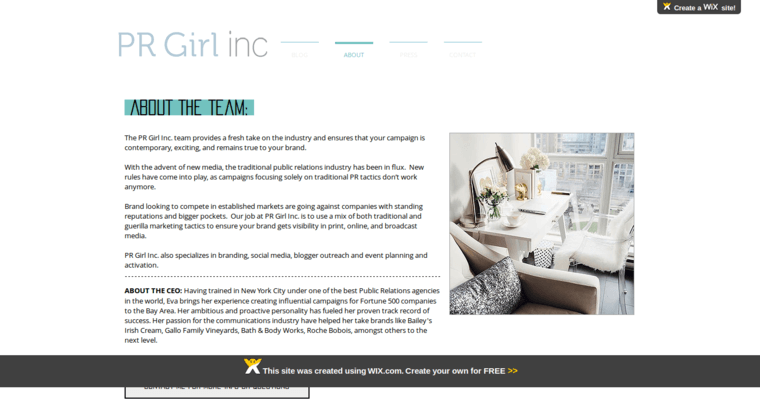 One tool that makes it even easier than ever to create great public relation is PR Girl. At this company, staffers understand the power of the market and how it can shape perceptions. They can create a truly unified strategy that makes it possible to reach out to the public in a way that shows off the company's best face at every turn. Working with them closely enables any modern company to shape the conversation to their ideal advantage.